At Apple’s October 16th event, the company announced new iPads, which were predictable in almost every way — faster, thinner, Touch ID. Okay, but the new 27-inch iMac was a pleasant surprise. Going to the largest iMac usually means sacrificing a little pixel density, but not this time. This is the first iMac to sport a Retina display, which in this case means a staggering 5120 x 2880 resolution. That’s even higher than a 4K screen. Apple calls this Retina 5K, but how’d they do it? 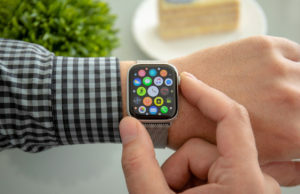 To tell all those pixels what to do and when, Apple needed to develop a new type of timing controller, or “TCON.” The chip used in non-Retina iMacs simply wouldn’t have been able to keep up. 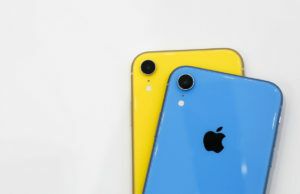 Apple’s new TCON has an effective bandwidth of 40Gbps, which provides enough power to keep all 14.7 million pixels in the display running smoothly. The screen assembly itself is made up of several layers, though the entire thing is only 1.4mm thick. Possibly the most important component of anLCD is the TFT (thin film transistor). This is the semiconductor layer that transmits electrical currents to each pixel. 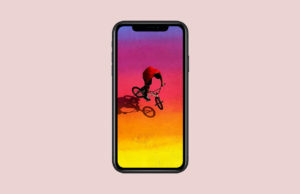 Apple’s new oxide-based TFT was designed specifically for the Retina 5K screen to keep the brightness levels and response time of the pixels consistent. This is important because a powerful TCON won’t matter if the physical pixels don’t have the power they need. Right behind the pixels is a new “organic passivation” layer. This layer works together with the oxide TFT to ensure that the signals running to all those pixels don’t interfere with neighboring pixels. With such a high resolution, everything is crammed very close together. Crosstalk — the bleeding of a signal into another circuit — can result from this, but the organic passivation layer acts as a buffer between the pixels and data lines. Without this component, the images on a 5K screen could end up blurry. In that case you might as well still be using 1080p like a caveman, or something. Moving to higher display resolutions can sometimes result in poor brightness or high heat. With so many more pixels to illuminate, you need to pump out a lot of light with the LED backlight. Apple says it solved both these problems by switching to a more efficient LED array. It will apparently consume 30% less power while remaining sufficiently cool and putting out a good brightness level. So that’s how Apple says it made Retina 5K work, but what is it going to mean for you in practice? Well, if you drop $2500 on the new Retina iMac, you might not immediately notice anything different about the layout of the OS. 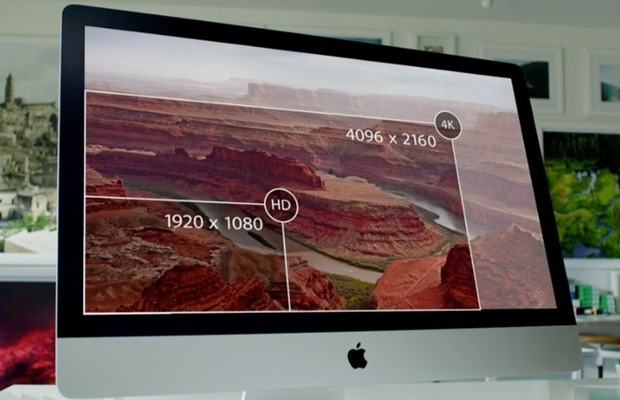 Despite being a much higher resolution than the old iMac, the Retina version will run at a logical resolution of 2560×1440. Otherwise everything would be rendered teeny tiny, and you don’t want that. Apps will be able to make use of all 14.7 million pixels, though. Apple uses the example of editing 4K video at 1:1 resolution with space left over for on-screen controls. The new iMac Retina will also contain a 3.5GHz Intel Core i5 CPU, an AMD Radeon R9 GPU, 8GB of RAM, and a 1TB Fusion drive. That’s just the standard model — you could upgrade to a 4GHz Core i7, 32GB of RAM, and 1TB of mega-fast PCIe storage. 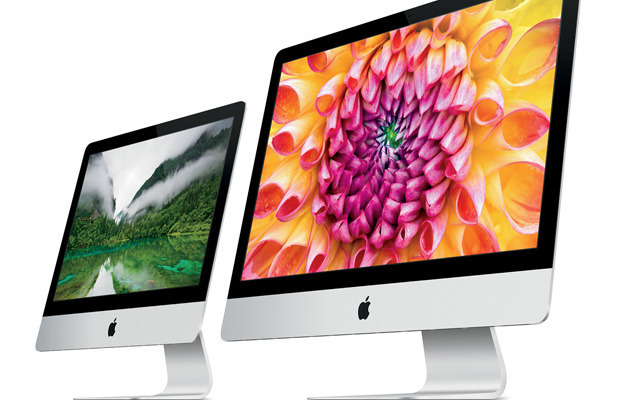 The new 27-inch Retina iMac is going to be fast and pretty, but it won’t come cheap.